PRAGUE, December 14, 2006 (RFE/RL) -- Iranians will go to the polls on December 15 to cast ballots to select the powerful Assembly of Experts -- which oversees the work of Iran's supreme leader -- and to fill city councils across the country. The assembly elections are crucial for the future course of the Islamic republic, while the city council polls are seen as a referendum on the popularity of President Mahmud Ahmadinejad. Coming a year and a half after Iran's presidential vote, Iranians will again participate in elections that could affect the division of power between the country's various factions. The elections come at a time when Tehran is facing growing international pressure over its controversial nuclear program. Authorities have said a high turnout would prove popular support for the ruling government. On December 13, Iranian Supreme Leader Ayatollah Ali Khamenei accused "enemies" of trying to discourage Iranians from taking part in the elections. "The nation should know [the enemies] motives and act exactly against their will," he said. "God willing on Friday people will enter the election scene with strong determination and full motivation." Khamenei described the elections for the Assembly of Experts as Iran's most important vote. But many people don't feel the powerful body has a direct impact on their daily lives and turnout during past elections has been relatively low. Little is known about the work of the Assembly of Experts -- which actually has the power to appoint, supervise, and even dismiss the supreme leader if they deem him to be incapable. The 86-member institution -- which is made up of clerics -- gathers twice a year but does not make public any details about its decisions or activities. The 1989 selection of Khamenei as Iran's supreme leader has thus far been its main achievement. Mohammad Sadegh Javadi Hessar, a political analyst in Mashhad, believes turnout for the Assembly of Experts elections could be boosted because it is being held simultaneously with the city council polls. "If the elections for the Assembly of Experts would be held separately from municipal council [elections] then due to the current atmosphere and the lack of serious competition between the country's two factions, it would have been highly unlikely that many people would participate," he said. Many believe the assembly needs to open its doors to nonclerical experts in fields others than theology in order to more effectively supervise the supreme leader's work. Among the some 160 candidates that have been approved by the Guardians Council to run in the elections there is only one noncleric. Some 500 candidates applied to be candidates in the assembly elections but about two-thirds of them were disqualified -- including most of the reformists but also many fundamentalist candidates. Some political groups, including the Office to Foster Unity, Iran's main reformist student group, have termed the elections as neither free nor fair and said they will not participate. Sadegh Zibakalam, a professor of political science at Tehran University, says the ultraconservatives represented by Ayatollah Mohammad Tagi Mesbah Yazdi and the more moderate and pragmatic allies of former President Ali Akbar Hashemi-Rafsanjani will battle for control of the body. "Basically candidates who are not related to the conservatives have been prevented -- by various means -- from running for [the assembly]...so the main race is between Hashemi-Rafsanjani and the fundamentalists, who have rallied behind Ayatollah Mesbah," he said. Ayatollah Mohammad Taqi Mesbah Yazdi -- who is well known for his hard-line views and opposition to democracy -- is considered to be Ahmadinejad's religious mentor. He is considered by some to be a promoter of violence. 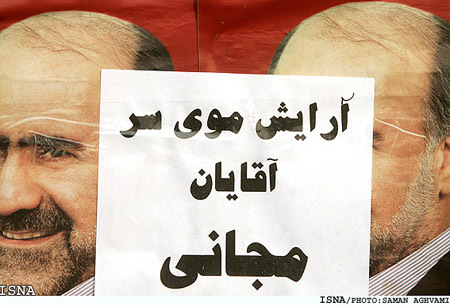 Critics have warned that if Mesbah's faction gains a majority of votes then he might attempt to become Iran's supreme leader. But the outcome of the vote is difficult to predict as there are no reliable opinion polls and voters have in the past been quite unpredictable. Some analysts, however, believe the traditional conservatives will retain their control of the assembly. The outcome of the city council elections is also unclear and will depend mainly on how large the turnout is. Reformists who have presented a 15-member list for Tehran's city council hope to make a comeback. 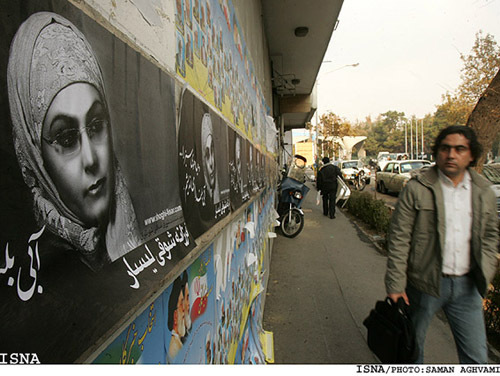 In the crucial Tehran municipal elections of 2003, only about 12 percent of voters participated, and they were overwhelmingly conservative voters. That propelled the conservatives to take over the parliament and then the presidency. In the December 15 Tehran city council elections the conservatives are divided between the supporters of Ahmadinejad and those of Tehran Mayor Mohammad Baqer Qalibaf, who also ran for president against Ahmadinejad in 2005. He is considered a moderate conservative. If Ahmadinejad's allies lose then it would signal dissatisfaction with the president, who has so far largely failed to fulfill his promises of greater economic prosperity for Iranians. In recent days reformist politicians have expressed concern over possible election fraud, but Interior Ministry officials say some 75,000 inspectors will monitor the vote. 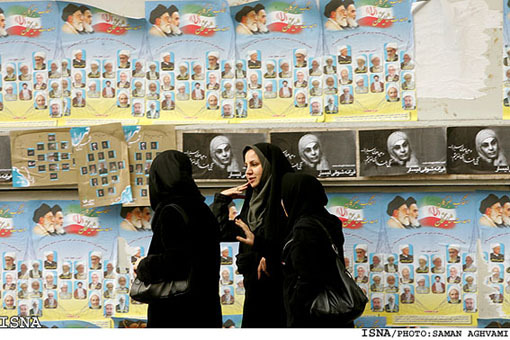 Iranian authorities have said that people will vote en masse. Prosecutor-General Ghorban Ali Dorri Najafabadi predicted on December 12 that some 60 to 70 percent of the some 43 million eligible voters will cast their ballots on December 15. But others say they currently see very little enthusiasm for the election.